Total hip replacement is a common surgical procedure that replaces damaged bone ends within the joints with a metal and plastic prosthetic device. New advances allow for the use of minimally invasive techniques to perform this procedure and offer patients significant advantages over the traditional procedure. Minimally invasive total hip replacement is done through one or two small incisions into which the implants are placed with special surgical instruments. The muscles and tendons are only slightly detached and then repaired once the implants are placed to encourage quick healing. 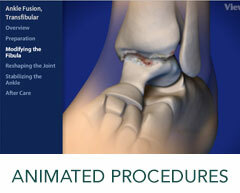 This procedure is often performed under X-ray guidance to ensure precise placement of the implant. This new procedure is often performed on younger, thinner and healthier patients who may be more motivated to achieve a fast and thorough recovery from hip replacement surgery. To learn more about our MIS Total Hip Replacement Services, please contact us today to schedule an appointment!